Respect the frailty of the earth. Realize that unless all are willing to help in its preservation, unique and beautiful destination may not be here for future generations to enjoy. Leave only footprints. Take only photographs. No graffiti! No litter! Do not take away ‘souvenirs’ from historical sites and natural areas. To make your travels more meaningful, educate yourself about the geography, customs, manners and cultures of the region you visit. Take time to listen to the people. Encourage local conservation efforts. Respect the privacy and dignity of others. Inquire before photographing people. Do not buy products made from endangered plants or animals, such as ivory, tortoise shell, animal skins and feathers. Read “Know Before you go”, the U.S. Customs list of products which cannot be imported. Always follow designated trails. Do not disturb animals, plants or their natural habitats. Learn about the support conservation-oriented programs and organizations working to preserve the environment. Whenever possible, walk or utilize environmentally-sound methods of transportation. Encourage drivers of public vehicles to stop engines when parked. 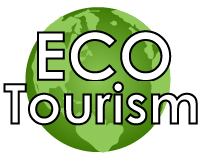 Patronize those (hotels, airlines, resorts, cruise lines, tour operators and suppliers) who advance energy and environmental conservation; water and air quality; recycling; safe management of waste and toxic materials; noise abatement; community involvement; and which provide experienced, well-trained staff dedicated to strong principles of conservations. Ask your ASTA travel agent to identify those organizations which subscribe to ASTA Environmental Guide-lines of air, land and sea travel. ASTA has recommended that these organizations adopt their own environmental codes to cover special sites and eco-systems.